Vacation Rentals - Holiday Rental ads in the city of Cognac in France for Tourism. 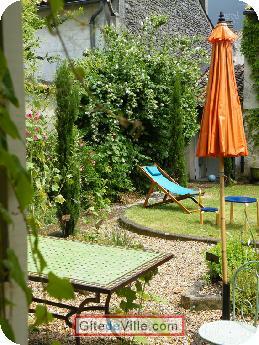 Self Catering Vacation Rental of 120 m² in Cognac for 4 peoples. Home in the city center of Cognac, combining charm and simplicity. Living room, dining room, kitchen, 3 bedrooms, bathroom, garage, enclosed garden. A few steps from the Place François 1er, the pedestrian shopping streets, the park, museums, Great Houses of Cognac and the Charente river, you will have an ideal environment to enjoy your stay. Last Ads update : 11/23/2011. Owner of an urban accomodation or B&B to rent in Cognac ?